Peer support scheme has been running for 6 years, based on academic support and led by second year peer leaders. This is formed of group and individual tutorials and they aim to meet 2-3 times a term. The scheme also sees close work with the careers and welfare services. Problem that students do not turn up for tutorials with staff, and if they do turn up they have a quick 5 minutes conversation and leave – how productive was this? Look to offer online support to augment the tutorial system. This workshop was on the building of a support programme and the review of this. The rationale was the ‘success for all’ and to close any attainment and progression gaps. There was the aim and the review of the improvement of target and non-target groups. It was identified that there were different needs in different schools and departments. It was acknowledged that in most cases, where there had been BTEC entry students, the school saw an attainment gap. 11 general principles to underpin tutorial systems and to allow for parity across the institution. A curriculum refresh policy says they will train staff so that the tutorial system will underpin a personalised learning journey for students. Students need to be consulted for what they need, like and want. Students fed back that the worse tutorials saw no relationship with the personal tutor as previous meetings were forgotten and tutors did not engage in learning about their tutees, their needs and their aims within the course. There was a consideration that there might be an issue that academics are hired on the basis of their research profile with limited consideration of whether they can be a tutor and engage with students. Should personal tutoring go to a specific member of staff specifically trained and experienced rather than academics? Can student focus be a risk to academic careers? There are no KPIs for personal tutors on tutorials – and how might the introduction of this engage and encourage the development of a more meaningful tutor/tutee relationship? Why is my list of tutees displayed incorrectly at the start of the academic year? At the start of the academic year, some staff members have reported that students are appearing in the wrong year, or across two years. Some images are set as graphics rather than the student photograph. Previous tutees show in ePortfolio because of a ‘grace period’ for students from the previous academic year which we apply so that returning students don’t ‘disappear’ as they come to the end of their registration period. 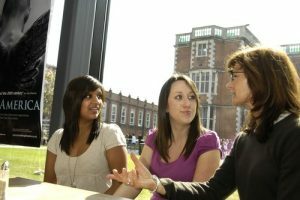 This is to support students if there is a delay in them registering (as is frequently the case) and also it enables returning students continuing access to various systems over the summer prior to the formal start of the academic year – especially important for the numerous programmes which start before the main start of the academic year. Our practice has been developed over the years to address the short period where registration data is so fluid that it cannot be the sole basis for identifying current tutees. This problem is compounded because it is common practice by Schools to assign tutees to tutors on SAP for an indefinite time, so we cannot reliably use the recorded end date. We have also include admissions data so that tutors can see new tutees prior to registration. From the 2nd of October, the ePortfolio system will revert back to registration data as the vast majority of students will have had time to register. The University’s Framework for Personal Tutoring has been updated following the approval of revised meeting arrangements by University Learning, Teaching and Student Experience Committee in July. With effect from the start of the 2017-18 academic year, tutors should record the first meeting that is offered and those that have taken place for undergraduate students. For taught postgraduate students, tutors should record the offer of meetings in ePortfolio. If tutorial meetings do not take place, reasons why not should also be recorded. We have clarified what should happen if meetings do not take place. If a tutor offers a meeting within ePortfolio using meeting slots, but a student chooses not to pick a time to meet with the tutor, this should be regarded as sufficient reason why the meeting has not taken place. Only if a meeting slot is not created by the tutor within ePortfolio should a reason be recorded elsewhere why a meeting has not taken place. We have distributed to Senior Tutors a new version of the briefing slides for Senior Tutors to discuss with Personal Tutors in their School or subject area. The slides provide information which will hopefully be helpful for ensuring that Senior and Personal Tutors are familiar with University expectations. They also provide advice on how to find and signpost further support. Additional resources for tutors have also been brought up to date and can be found on our website. The Senior Tutors Discussion Forum will continue to meet on a quarterly basis beginning in October. 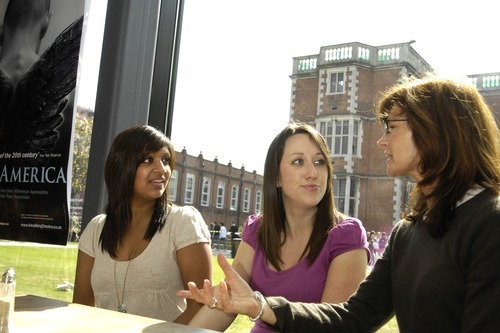 A Role of the Senior Tutor Training Workshop will also be held twice this coming academic year. If you have any questions or can suggest examples of effective practice in personal tutoring, please contact LTDS. This screencast will show how to record a retrospective meeting in ePortfolio, and how to offer a meeting in the future. This screencast will show how you can use meeting slots to arrange meetings with your tutees in the new version of ePortfolio. EPortfolio is coded using Django programming language. We have been running on version 1.4 but this needs upgraded to ensure we are working with a supported codebase. You could compare this to the upgrading of windows from windows XP to Windows 7 to make sure the software receives security updates.